Very Good. Trade paperback (US). Glued binding. 368 p. One January morning in 1734, cloth merchant Peter Collinson hurried down to the docks at London's Custom House to collect cargo just arrived from John Bartram in the American colonies. Set against the backdrop of the emerging empire and the uncharted world beyond, The Brother Gardeners tells the story how Britain became a nation of gardeners. Good. Trade paperback (US). Glued binding. 368 p. One January morning in 1734, cloth merchant Peter Collinson hurried down to the docks at London's Custom House to collect cargo just arrived from John Bartram in the American colonies. 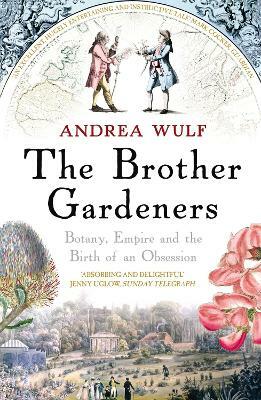 Set against the backdrop of the emerging empire and the uncharted world beyond, The Brother Gardeners tells the story how Britain became a nation of gardeners. History and gardening. whats not to like. In-site into communications and trade. Really snail mail but maybe more communication with slower speed.